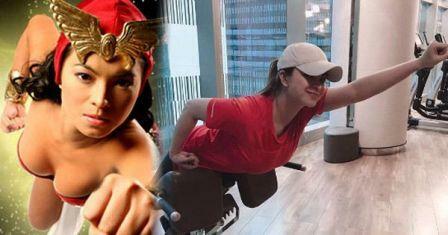 Is Angel Locsin finally grabbed the role of "Darna" again this 2017?! Though Star Cinema didn't yet revealed the final name of the actress who will portray the most coveted role of this Pinay superhero, different news on the world wide web are spreading like wild fire unveiling that Angel is really the chosen one for this role. It was further confirmed when Angel returns to gym and had her training under Billy James and posted her photo on instagram (see second picture above) flying like Darna. 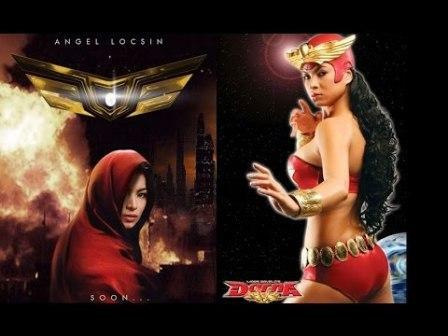 "Confirmed Angel Locsin reprise the role of “Darna” in a movie slated for next year. The confirmation actually came from Star Cinema’s Big boss Malou Santos. Sanay magustohan nyo. (FAN MADE ONLY)"